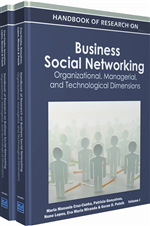 In this paper we review the most recent developments and contributions in the field of social media to business and professional networking, marketing, and critical success factors including case studies in communications actions. More specifically, we focus on the role of advertising in Internet social networks (ISN) and their function as a channel of communication from the consumer’s perspective. To do so, we describe the important role ISNs play today in business strategies aimed at relationship marketing as well as the most widely-used advertising formats. We apply the Elaboration Likelihood Model of behavior to ISNs to gain a better understanding of advertising effectiveness from the standpoint of degree of involvement; distinguishing between vehicle exposure and ad involvement. Finally, factors that reduce the effectiveness of advertising in ISNs are revised using a model that focuses on cognitive avoidance. In the research, cognitive avoidance and advertising effectiveness are considered to be consequences of undesirable perceptions that emerge during exposure to advertisements. ADVERGAMING: (Advertising and Gaming) Is the practice of using video games to advertise a product, organization or viewpoint. Advergames theoretically promote repeated traffic to websites and reinforce brands. AdSense: A system developed and run by Google is one example of an advertising format that uses targeting. Website owners can enroll in the program to enable text, image, and video advertisements on their websites. These advertisements are administered by Google and generate revenue on either a per-click or per-impression basis. Google uses its search technology to embed ads according to the content of the web page being visited by the user, the user’s geographical location (by means of IP) and other data such as previous search histories in Google or pages visited by the user, cookies, length of session, operating system, browser used, etc. Perceived Ad Clutter: Is a consumer’s conviction that the amount of advertising in a medium is excessive, because the increase number or proportion of advertising in the media vehicle. Sponsored Links and Contextual Advertising: This form of advertising mimics the aspect of the web content on the ISN. It contains brief information about the indexed link and redirects users through clicks to an external web page or a fixed section of a brand or product on the Internet. Pop-Up Ads & Pop-Under Ads: Pop-ups are a type of floating formats advertising that is automatically displayed in second browser window (generally without being requested by the user) when accessing certain web pages. Pop-ups are used to display an ad unit in an intrusive manner. Pop-unders are a similar advertising format that opens a new browser hidden behind the active window being used. Pop-unders interrupt users less, but are not seen until the window is closed, making it more difficult for users to determine which web site opened them. Integrated Formats: Type of ad that includes: Sponsored links, AdSense, Banners, buttons, Full-page ads, skyscrapers. Interstitials & Superstitials: Are a type of transitional formats,. The terms interstitial and superstitial mean “in the medium” or “over the medium” and can appear in a separate window when a web page requested by the user is being downloaded. These are web page advertisements that are similar to television commercials. Ad Intrusiveness: Depending on the degree to which the advertisement interferes with the user’s cognitive process, perceived intrusiveness will be detectable to a lesser or greater degree. Video Advertising: There are two main types of video formats: video formats which are placed in the content of a website known as in-page formats, and those in which advertisers embed their video message directly into video content. The latter, known as in-stream video formats can be divided into three different types: pre-rolls, mid-rolls and post-rolls. Pre-rolls show the advertisement before the main video content starts, mid-rolls are placed between two parts of video content and post-rolls present the video ad after the main content has finished. Word of Mouth in Internet Social Networks (ISN-eWOM): e-Wom type that occurs in social networks and online media (i.e., social networks, blogs, forums and other 2.0 media).